Hi! 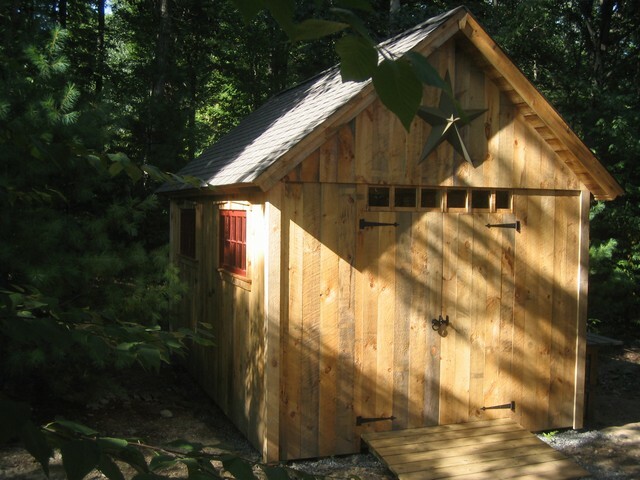 I built this shed in the Summer of 2007. 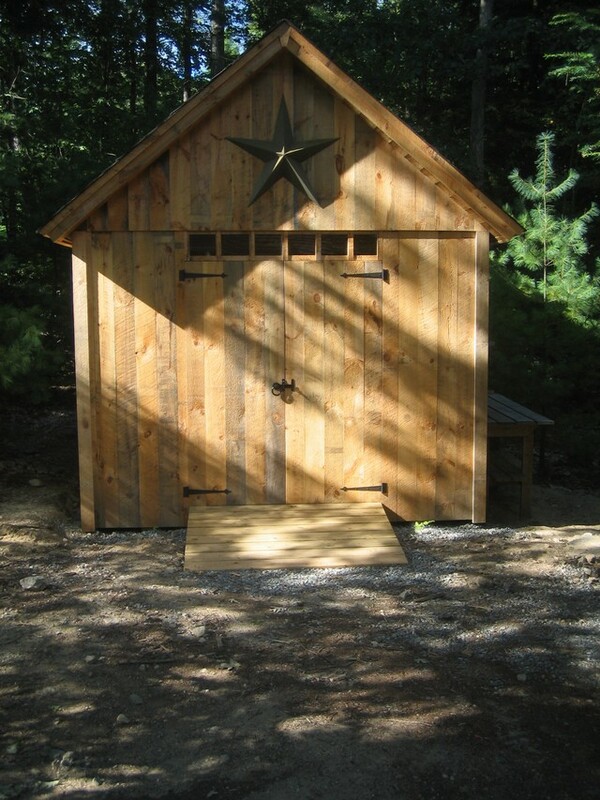 I used rough cut pine with Shiplap edges for the siding, MUCH less $$$ than cedar, and IMO it looks great. The plans were well done – heck, if I can build it, they must be!